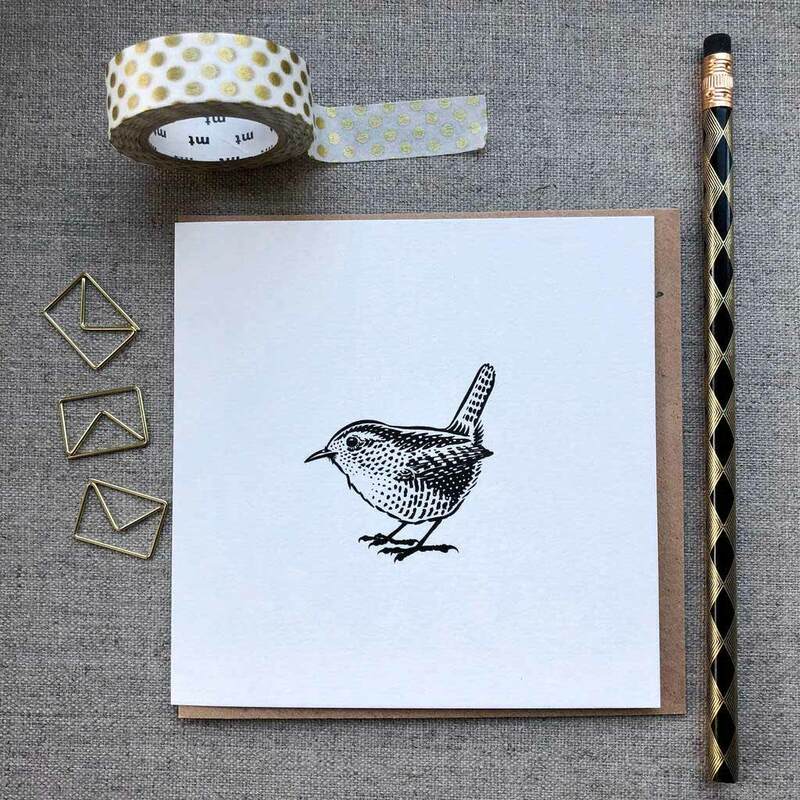 Wren Illustrated Greetings Card. Lovely card for bird lovers. Wren Greetings Card. This delightful wren is destined for bird everywhere. Designed, drawn and printed in Kent. Printed on a 300gsm, uncoated, Callisto pearl square greetings card. Cello wrapped with a Kaft brown fleck recycled envelope. Part of a series of cards.